The first insulin pump, an invention that would touch the lives of diabetics around the world, was created by Dr. Arnold Kadish in 1964 in the United States. The initial models of the insulin pump looked little like one might imagine them. In today’s world, the insulin pump is small and can be worn under one’s clothes and even while exercising. However, in the mid 1960s, they were cumbersome and bulky and were large enough to be carried in a backpack. This initial model by Arnold Kadish delivered not only insulin to the user but also glucagon. This first pump was essentially an artificial pancreas that the person could wear on his or her back. The idea was that it would play the role of the pancreas that was no longer functioning by delivering the essential chemicals to the person’s blood flow. However, due to its size, it was not marketable, and it would take a few years until a viable model of the insulin pump began to reach those insulin-dependent diabetics who needed it. Who Invented the First Portable Drug Infusion Pump? In 1973, Dean Kamen invented the first portable drug infusion pump while he was still an undergraduate physics student at the Worcester Polytechnic Institute in Worcester, Mass. This first main invention of Kamen would go on to have applications in many aspects of the medical field, not only for insulin delivery but also in drug administration having to do with chemotherapy and other endocrinological conditions. The first feasibly marketable insulin pump available to diabetics only came about in 1983, 20 years after Dr. Kadish came up with his prototype and about a decade after Kamen invented anything similar, but portable. Dean Kamen went on to be an influential innovator and businessman. He founded an organization dedicated to promoting innovation, For Inspiration and Recognition of Science and Technology (FIRST), and received the National Medal of Technology in the United States, the highest honor for technological achievement, among a number of other awards. Although he never graduated from the Worcester Polytechnic Institute, he was awarded an honorary doctorate in engineering from the institution in 1992. His most popular inventions include the Segway, which is a sort of scooter, and the IBOT Transporter, a wheelchair developed for Johnson and Johnson that can travel on all sorts of ground and can even climb stairs, which was developed. 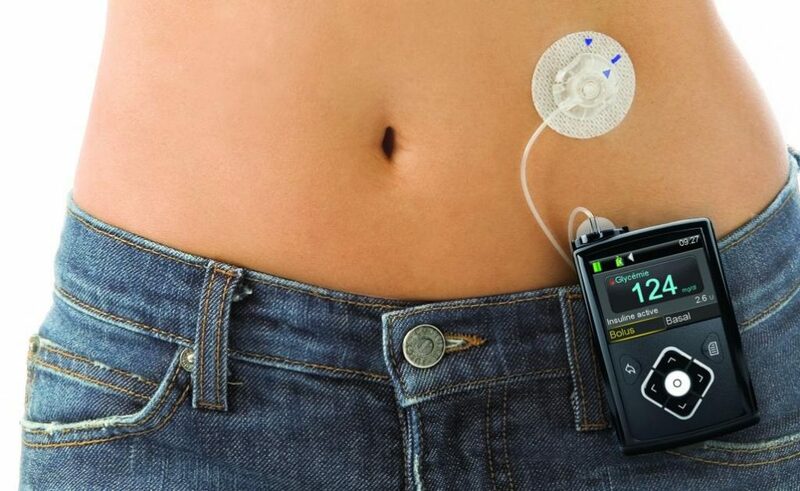 Today’s insulin pump has made quite a few advancements since the days of Dr. Arnold Kadish, in part because of the advancements made available by the innovation of Dean Kamen’s portable infusion pump. By some accounts, the modern insulin pump is so small it can be mistaken for a pager or any other small apparatus. Throughout the years, the biotechnological and medical fields have made strides in creating devices that warn the user when it is necessary to change the battery or that the tubing may need adjustment. The pump delivers rapid and short acting insulin all day to the user through a small catheter placed under the skin. It delivers insulin in different doses to ensure the user always gets the correct amount. For example, it may deliver one type of insulin, basal insulin, throughout the day in order to maintain the user’s blood glucose at a safe level. However, the user is still responsible for adjusting dosages if he or she eats more carbohydrates, or food in general, than expected. Today’s pumps can be worn on a belt or clipped to one’s undergarments or other clothing. They do not even have to be visible. How to Choose An Insulin Pump? Doctors’ and pump educators’ familiarity with the pump you select. Previous PostWho invented the Acoustic Guitar?